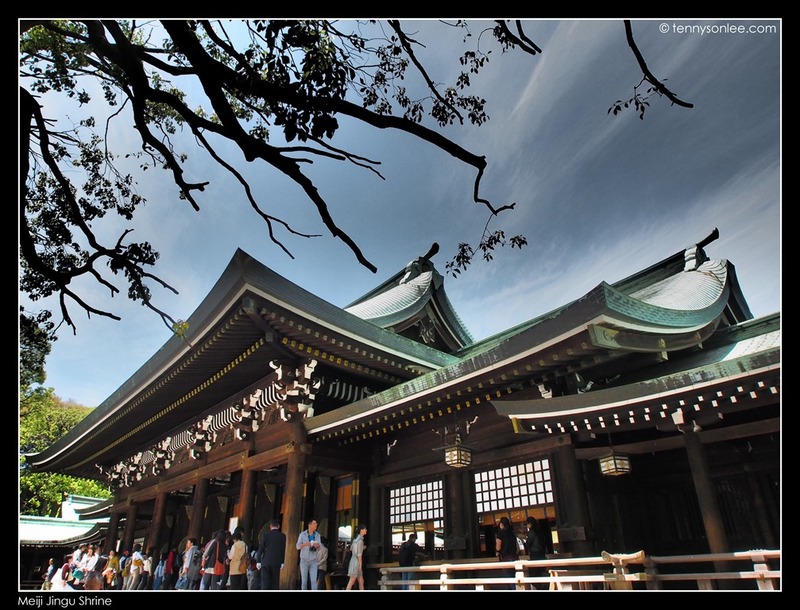 A short walk from Harajuku station or from Yoyogi Park is a premier Shinto shrine in Tokyo, Meiji-Jingu. The main shrine is about a kilometer from the large Torii gate at the entrance. Visitor has to walk through a wide gravel path through a nice park. On weekend, you may see some locals dragging luggage bag over a long distance. 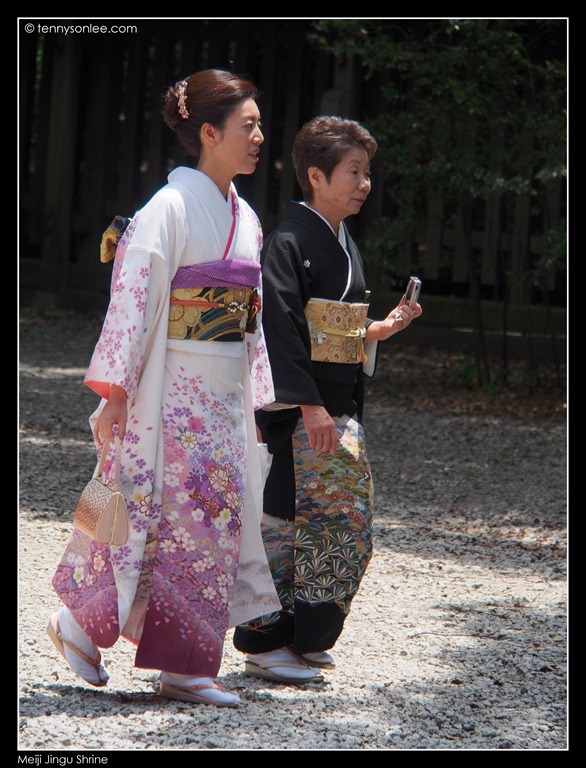 They are attending many wedding ceremonies held during weekend at the shrine. 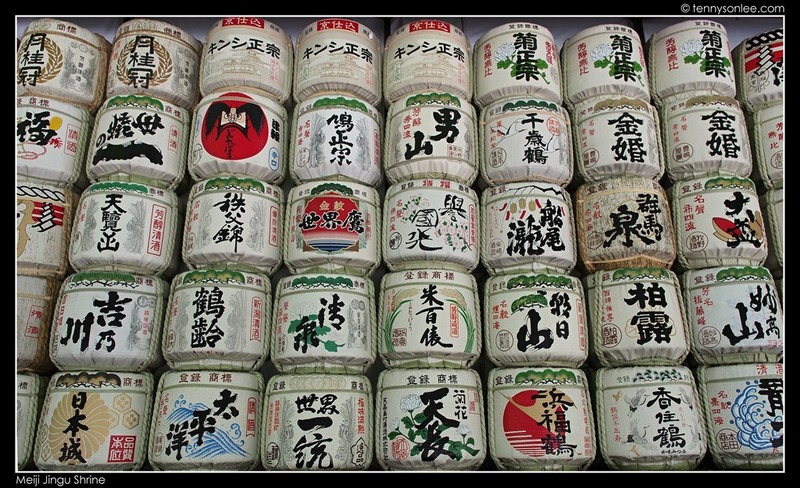 You can see some wine containers on display on the path. The Shrine is famous for its greenery. According to Wikipedia, the shrine compound has more than 365 species of trees (over 120 thousands of trees). After rinsing your hands and mouth (the ritual is written on the wall) before entering the shrine, you can make a wish by throwing coins (observe the clapping hands and bowing ritual), or hang a wishing board. Many visitors written down their wishes and hung them on the wall (like the ancient Facebook wishing wall). 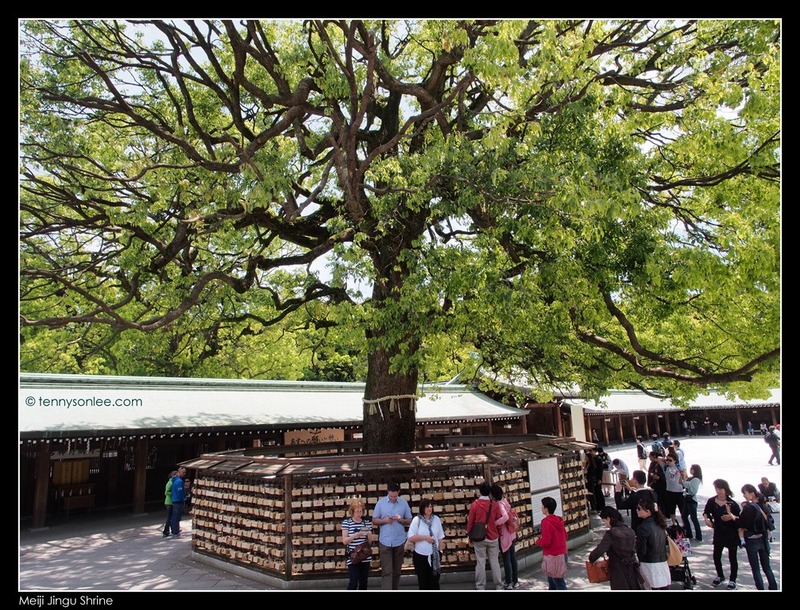 Meiji-Jingu Shrine is definitely on the top 10 attractions in Tokyo, especially if you are around Harajuku. 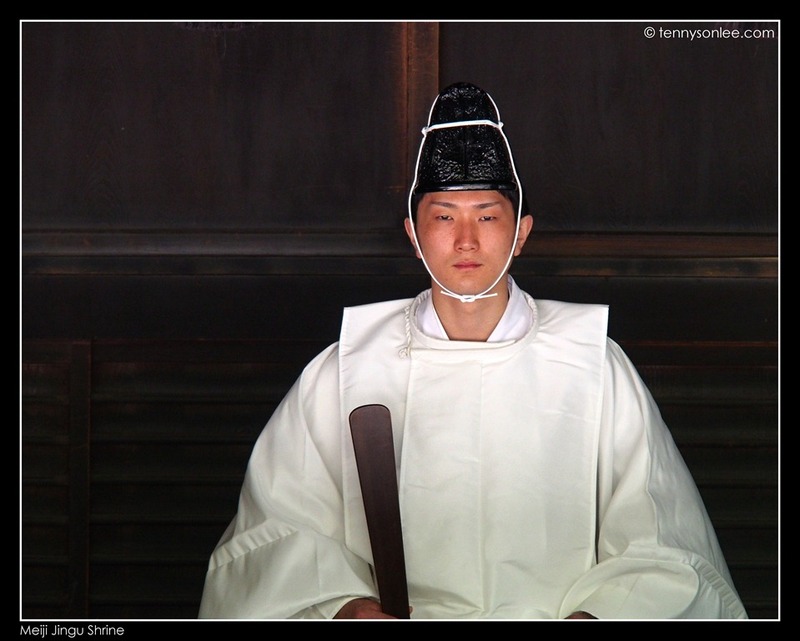 The best time to visit Meiji-Jingu Shrine is on Sunday noon, after visiting the cosplay crowds in front of the shrine near Harajuku station. 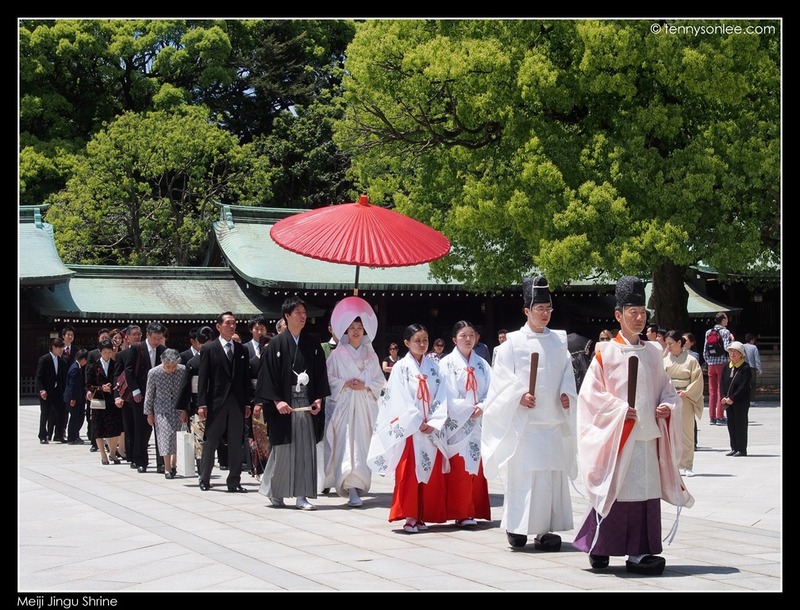 There are many wedding ceremonies held in the Shrine complex on weekend. 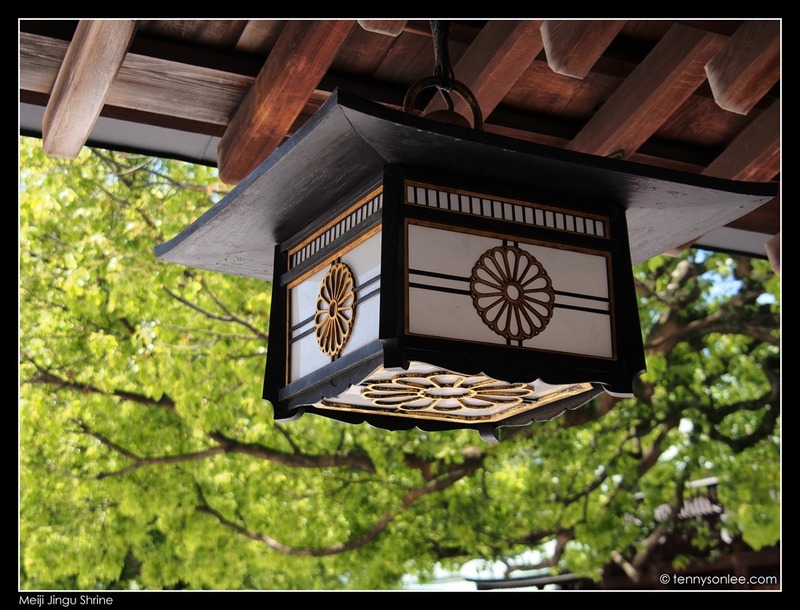 This entry was posted on May 13, 2012 by Tennyson. 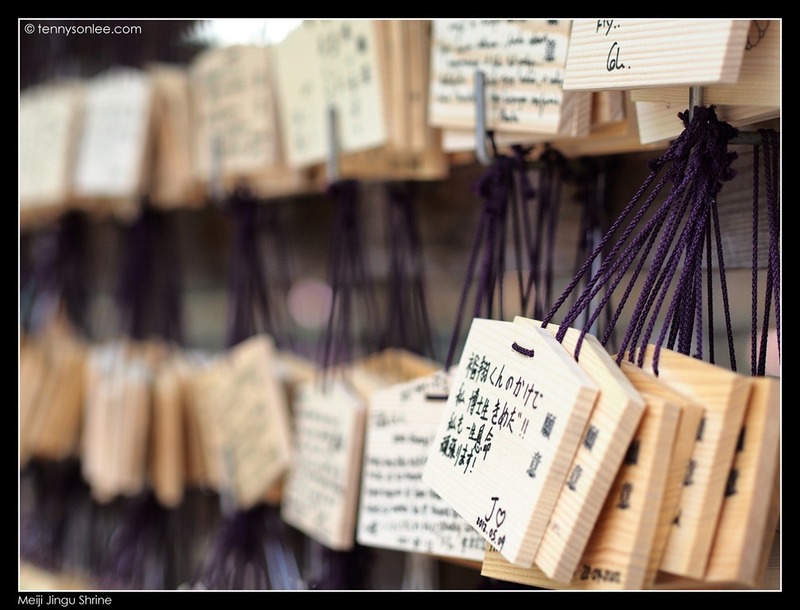 It was filed under Japan, Places, Tokyo and was tagged with Harajuku, Meiji Jingu Shrine, Tokyo.